to Thiel’s name gematria of 55. Peter Thiel is the Silicon Valley venture-capitalist who usually stays out of the spotlight, unless its election season. He’s well-known for his financial support for Ron Paul in 2008 and 2012, and Donald Trump in 2016. Both presidential candidates ran or are running now in Trump’s case as anti-establishment firebrands. Paul and Trump are members of the very establishment they claim to be at odds with. Thiel has also made much of his Ayn Rand-inspired “libertarian” political philosophy as the answer to “big government” control. He first made his name as one of the creators of PayPal. After this success, he branched out and became Facebook’s first investor. He is also the driving foce behind Palantir, a secretive big data company that received start-up capital from the CIA’s investment arm, In-Q-Tel. Libertarians and big government, together, like one big Fascist Family. That is at least how Ayn Rand defined fascism. 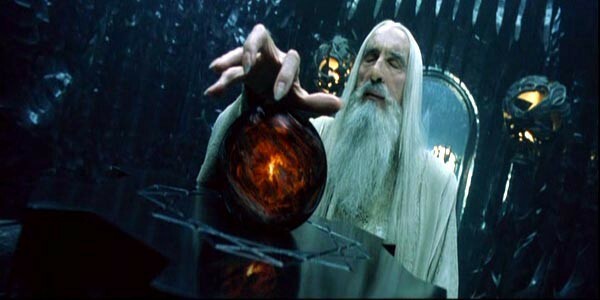 Palantir Technologies, Inc. was named after the Palantir of Sauron from the Lord of the Rings, novel and film. Since smokescreen has two -s’s, it’s reduced value can be added up to 46, 55, and/or 64. 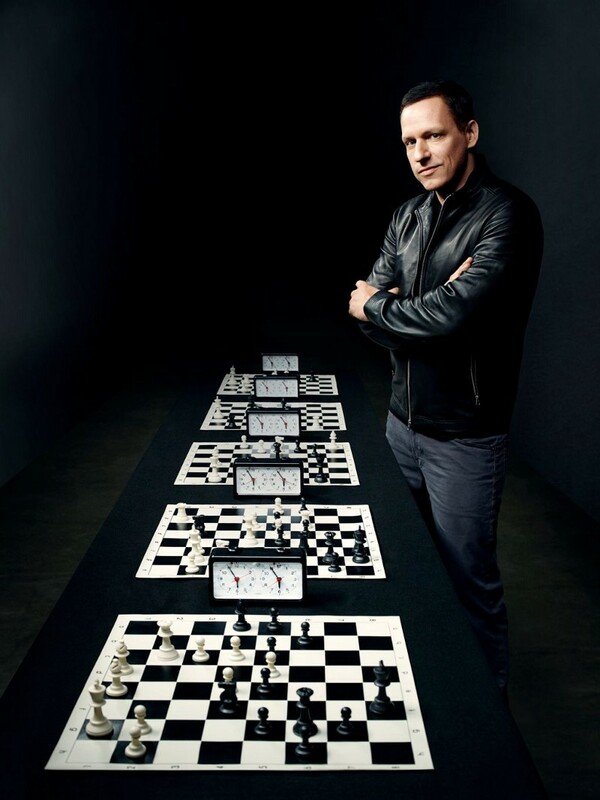 Peter Thiel has gematria, 55/118, that matches up well with the term Satanic Elite. This year’s election will be held on 11/8/2016, a day with 55 numerology. 11 + 8+ 20 + 16= 55. In a recent Vanity Fair article stated that Thiel has a special preference for sitting at the top of a round table when entertaining at home. On the day of Halloween 2016, 10/31/2016, Thiel made a speech at the National Press Club in support of Donald Trump. This date has 77 numerology. 10 + 31 + 20 + 16 = 77. 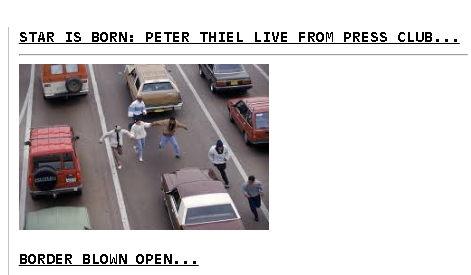 Also on 10-31-2016, Drudge Report ran the headline below. It looks like Peter Thiel’s political stock is going up. Another thing I noticed about Thiel is his habit of using two-worded alliteration for his company names, like PayPal. In English reduction, P =7, so with the alliteration that’s like 7-7. That in itself is nothing new, however the concept of alliteration fits Thiel’s penchant for language play. Even the word alliteration reflects the 55 gematria of Thiel’s own gematria of 55. Once again, Thiel’s speech to the National Press Club was on 10-31, the day of Halloween. I’ll also be adding these and other terms to the Encyclopedia. In a October 27, 2016 post Zach Hubbard of FreeToFindTruth demonstrated how the gematria for “Richter Scale” matches with those of other key terms related to the ongoing mass deception and collusion between the scientific establishment and the international masonic network. The post is linked here. These entries can also be analyzed in concert with other terms in the Encyclopedia of Gematria on this site. You’ll find those links on the navigation bar at top of every page. The Richter Scale is the As Zach noted, 58 matches with the gematria for freemasonry, science, and secret society. This verse is from Ezekiel 9:4. In this scene, God commands an angelic scribe to go down to Earth, and mark those to be spared with a “Tav,” the Hebrew term for the same phoneme – [t], which in Ezekiel’s time was written like a sideways X as seen in the picture below. In the Book of Revelation, the same theme is reversed in the Mark of the Beast. 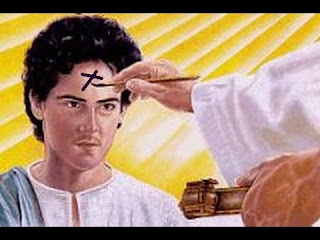 In that book, the mark on the forehead is used as a symbol of selling-out, and giving into evil. Revelation is called the Apocalypse in Greek. The New Testament is written Greek, which should make the use of the Greek Tau or T appropriate in that part of the Bible. 5-1-1776 was the official date of the founding of the Bavarian Illuminati. It is still commemorated in the may Day celebrations and parades of Communists countries. May 1st is also celebrated as Law Day” by the American Bar Association. Earth’s crust over the eons. Love it. 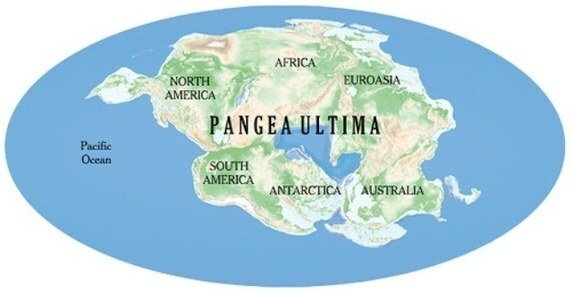 This made me think of that whole Pangea theory. His finds are chronicled here. To this theme I’m also adding the following terms into the Encyclopedia. A blind thrust earthquake occurs along a fault line that shows no signs on the Earth’s surface. The force seismic waves that occur in earthquakes are measured on the Richter Scale and the Moment Magnitude Scale. The quote was featured at the top in the title section of the article. What makes this quote significant from to standpoint of gematria is that Buddhism has the same numeric profile as the word Baphomet, the hideous demon that the Satanists love to display. 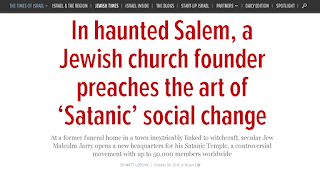 The method of deception by conflation in the association of Satanism with Buddhism and Judaism is standard procedure for the Satanists. News of the Putin/Surkov email by Kiberkhunta or “Cyber Hunta” broke internationally on October 26, 2016, Hillary Clinton’s 69th birthday. 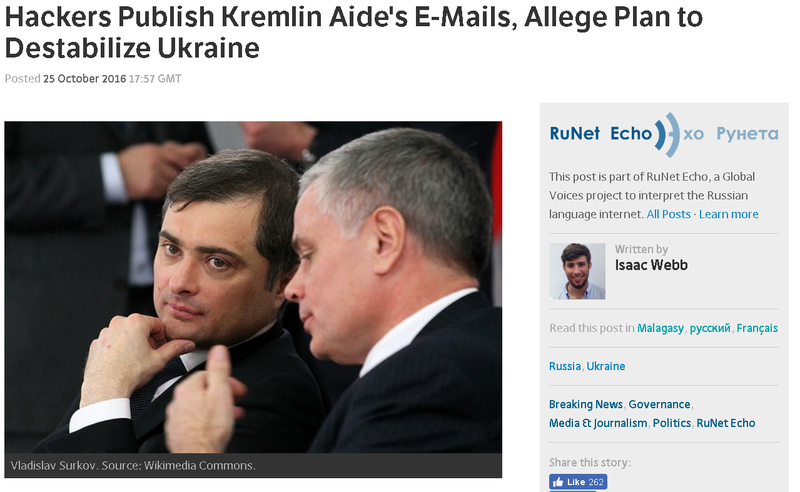 The report about in the emails, told of the discussion for a destabilization plan to undermine Ukrainian/Western control of eastern Ukraine where a sizable portion of the population is Russian. For whatever its worth, Ukrainian officials verified the authenticity of the hacked emails. It’s very interesting that the gematria of Kiberkhunta locks in with that of the word Illuminati. 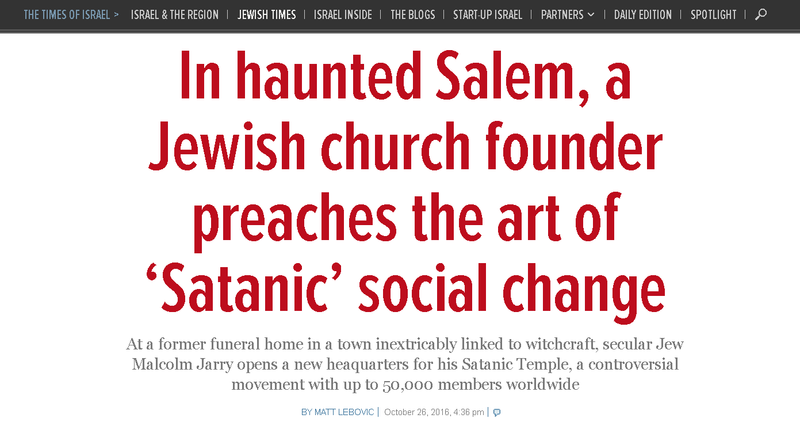 This entry correlates with the gematria for “Blame Russia,” documented earlier this week. I’m discovering that the -s, -k and =v exceptions are more important than I realized. I’m still trying out different ways of documenting these and other significant relationships in the easiest and most useful way possible. The ordering is by number and thematic relevance. The most important connections are toward the top of the number headings. Terms together that go together thematically are being arranged in a way to reflect that. Some areas of the Encyclopedia are still yet to edited consistently, so it’s a living document and evolving work. The symbolic prize for the best tragedy in the Dionysia competition of ancient Athens was a goat. The Greek word for goat is tragos, which is the origin for the English word, tragedy. The word appears to have had a double meaning as it’s translated “goat-song.” Goats were a choice sacrifice to the gods, and there must have been a great lamentation with wailing and chanting from the worshipers as the poor animal bleated its own “goat-song” while it died. In Greek tragedy, the fall of the hero becomes the sacrificial drama and his demise is lamented by the Chorus, a group of actors who sang their lines in unison. The other function of the Greek chorus was to act out the audience’s reaction to the hero’s undoing. 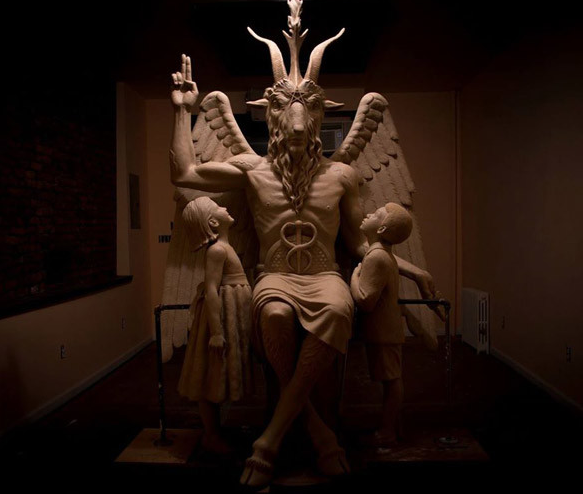 One of the most sinister symbols of dark occultism is that of the goat-headed demon Baphomet. As can be clearly seen here, the coding of the gematria for goat-song, Baphomet, tragedy, and even the Greek word tragos are clearly the work of behind the scenes manipulation. The goat skin apron in freemasonry is of great symbolic importance. One of the tactics most often used to deflect censure and skepticism of Masonic secrecy. The old masonic gag of “riding the goat” is a hoax in the literal sense, but all masons are goat riders in the symbolic sense. The goat-skin apron is sacred to masonry. They pay homage to the goat-god, Baphomet in their gematria and in the establishment of New Year’s in the sign of Capricorn the Goat.